BOISE, Ida. — This week, Idaho is joining a national campaign to raise awareness about the unique needs of young learners. Communities across the state will come together to recognize the youngest Idahoans and everyone who makes a difference in their lives. Idaho Association for the Education of Young Children Executive Director Beth Oppenheimer says, "all children need and deserve high-quality early learning experiences that will prepare them for life." 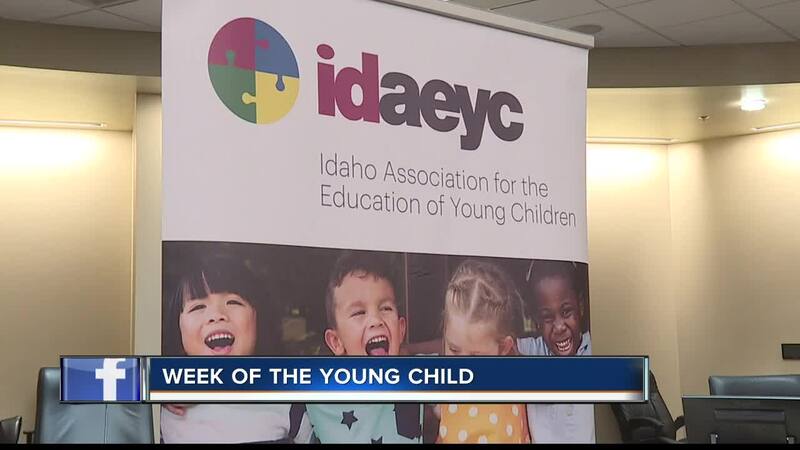 "The Week of the Young Child is a time for Idaho to recognize the importance of the early years and the vital role of parents, caregivers, child care professionals and preschool teachers. We must work together to ensure that all children have opportunities to thrive," Oppenheimer adds. Throughout the week, Idaho AEYC will highlight the many ways young children learn. Governor Brad Little issued a statewide declaration for Week of the Young Child on Monday, April 8. Sixteen local governments, including Boise, Meridian, Twin Falls, and Ketchum, are also issuing proclamations for the week. Idaho AEYC will partner with the Idaho Botanical Garden to host a Week of the Young Child celebration on Saturday, April 20, from 11 a.m. to 3 p.m. The free event at the Garden focuses on connecting families with quality community resources, such as summer camps, after-school programs, early literacy information, healthy eating tips, and child care. Each vendor booth offers an activity for young children, like an art project or a new skill to learn. Treasure Valley dance companies will perform, along with local band Blank Check and students from Boise Rock School. The National Association for the Education of Young Children established Week of the Young Child in 1971. It's celebrated annually across the country. To find out more, follow NAEYC on social media: Facebook , Twitter and Instagram . Idaho Association for Education of Young Children was founded in 1984. You can learn more here .